"Returning from Maternity Leave was my Hardest Challenge"
I have been a Head teacher in a North London Primary school for 13 years now. In that time, like most Heads – I’ve had to endure some very challenging circumstances, with the rise of personal accountability, frequent changes to the curriculum and depleting school budgets. However, perhaps one of the biggest challenge I’ve ever faced in my role was when I came back to my Headship after my maternity leave. My Deputy head had just had a taste of being a Head teacher. As a result, she decided to leave to take up her own headship and so I found myself having to form a new School Leadership team. To make matters worse, not long after I returned, we were inspected by OFSTED and we went into “required improvement”. Before I even had chance to settle back into my role, I was suddenly having to deal with the extra stress and challenges of improving our school’s rating. It felt as though everything had changed in the five months, I’d been away and that the job was un-recognisable from the one I left. Before I went on maternity leave I was quite confident about my Headship, but when I returned I suddenly felt like I had lost the conviction with which I used to lead. As a leader, losing your self-confidence can be one of the hardest things. I began to second-guess my decisions, question whether I could do the job anymore and I constantly felt that I couldn’t cope. To have to battle with this, alongside the challenges of being a new mother, made everything feel overwhelming. I felt there was no-one I could talk to about what I was going through and how it was affecting me and my leadership. I couldn’t reach out to my team as I feared that to do so would be to cross professional boundaries, dampen the team’s morale or undermine their confidence in me as a leader. So I decided to explore coaching, to have someone with whom I could “drop the mask” and help begin to deal with the challenges I was facing. Speaking to Viv, I quickly realised this was definitely what I needed. Thankfully, my chair of governors understood how I was feeling when I came back from maternity leave and so approved for me to have this coaching. Our one to one sessions were immediately very helpful as they gave me a chance to work through the feelings of isolation and overwhelm. Viv enabled me to come up with a number of fantastic strategies going forward to cope with what I was experiencing. For example, we would talk through some difficult scenarios that sometimes made me feel anxious. We explored exactly what was going on for me at an emotional level and how I could better manage my emotional responses. The practice of doing that helped me put things into perspective and increase my own levels of emotional resilience. Viv never told me what to do to improve my school’s situation, rather she supported me to come up with my own answers and solutions. I always found it amazing to discover that all along I had the answers to the massive problems in my school, that I thought couldn’t be fixed. Realising this re-affirmed to me that I really did know what I was doing and that I was doing better than I thought I was. 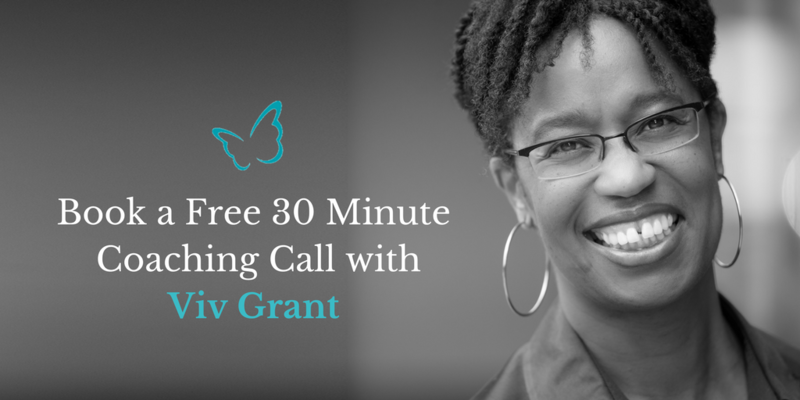 After a few sessions with Viv, my confidence returned, I felt empowered to make the changes I knew were necessary. I once again found the courage to trust my staff and delegate responsibilities to them – which made a really difference. When OFSTED returned, we were able to go from “requires improvement” to “good”, something I didn’t think was possible before I began coaching! Learning how to balance the need for human connection, with the need to maintain the integrity of the leadership role, is a challenge many Head Teachers face. Without support, life as a Head Teacher can be both lonely and limiting. Progress can be slow and in extreme cases stunted; neither the individual nor those they lead seem to be able to reach the level of maturity necessary for sustained personal effectiveness.